250MB free RAM. Intel/AMD x86 / 64 CPU with at least 2vCPUs. 100MB free disk space. 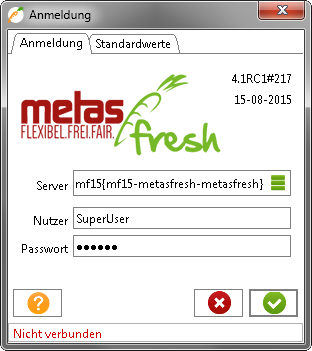 A running metasfresh server which is reachable by the client via its hostname over the network. You only need a client if you are not using the Web interface which just requires a browser. 1. 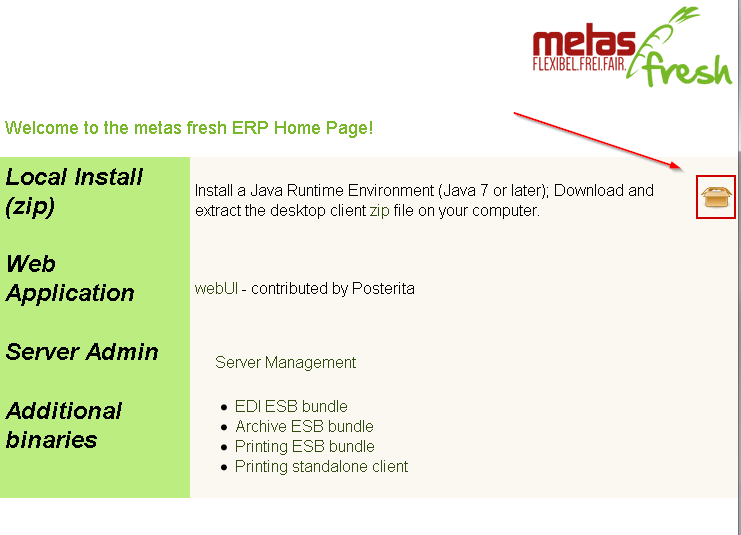 Download and install Java from the official website. 2. 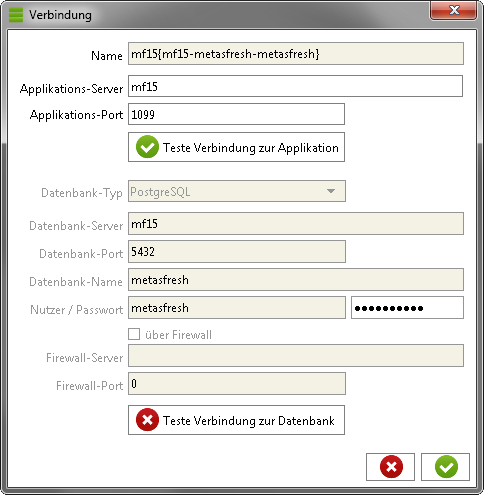 Browse to the admin-interface of the application-server using port 8080 (e.g. http://yourserver:8080/ ) and download the zipped metasfresh client. 4. Open the folder you extracted the client to and run the file „RUN_metasfresh.exe“. 5. Read and accept the “End-user license agreement” by clicking the “OK” button. 6. In the checkbox “Application Server” of the “Connection” window enter the name of the application-server you want to connect to. 7. Click on the button “Test connection to the application”. 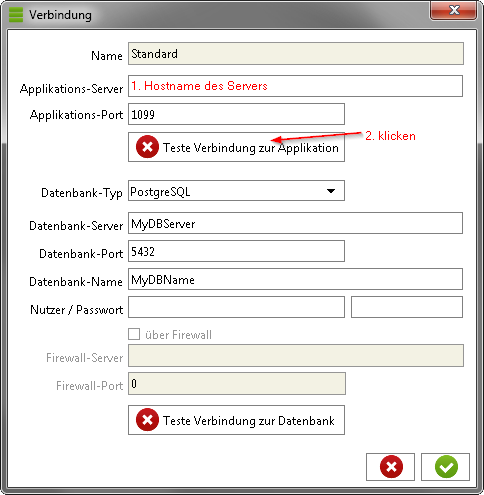 On successful configuration of your client and server the button will turn green and the fields about the database server will be automatically filled in. 8. The image to the right represents a successful configuration. 9. Now click the button „Verify connection to database“. If this button also turns from red to green everything is set up properly and you’re able to start the application by clicking the “confirmation button” on the left side of the bottom of the window. 11. Now, you can choose the role you want to be logged in as. 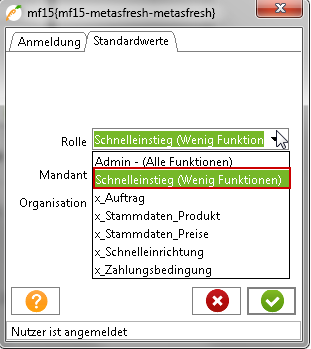 „Quick access“ => role with restricted access for a quick and easy start with basic functions.